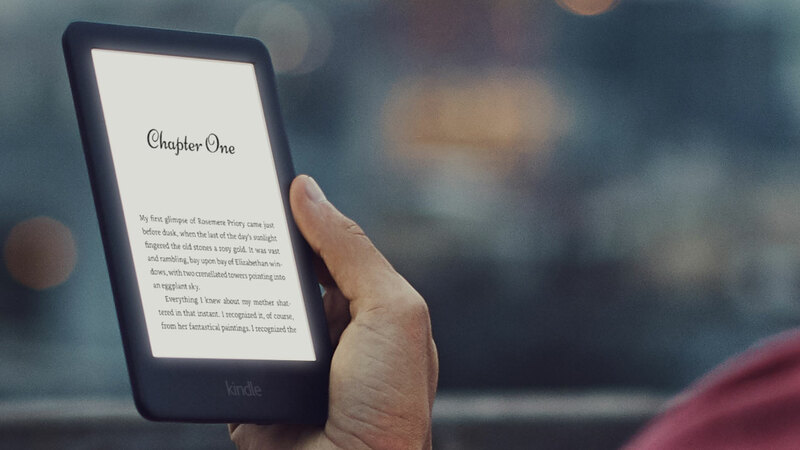 The Amazon-owned Souq.com has launched a new Kindle featuring a front light, marking the first time the illumination tech has been included in the firm&apos;s entry-level ereader. The new Kindle replaces the ereader with the same name (but no light), with the price increasing to AED 359 – the previous Kindle was AED 259. You&apos;ll be able to adjust the brightness of the light on-screen, allowing you to find the most comfortable level for your surroundings. Other features on the new Kindle 2019 include Bluetooth connectivity, allowing you to pair it with headphones or a speaker for audiobook playback, an updated design and a 6-inch, 167ppi E Ink display. The screen isn&apos;t as sharp as the 300ppi display on the Kindle Paperwhite, but considering that the Paperwhite is almost double the price of the new Kindle that&apos;s no surprise. Amazon also promises that the new Kindle can still offer weeks of battery life from a single charge, which is good news for bookworms. Unlike its pricier siblings however, the new Kindle isn&apos;t waterproof, so you&apos;ll want to be careful if you plan to take it by the pool when on holiday. You can order the new Kindle 2019 in either black or white.